These useful angel coasters are great Christening favors. They are made of 100% renewable, all natural cork, so they are both decorative and very useful. 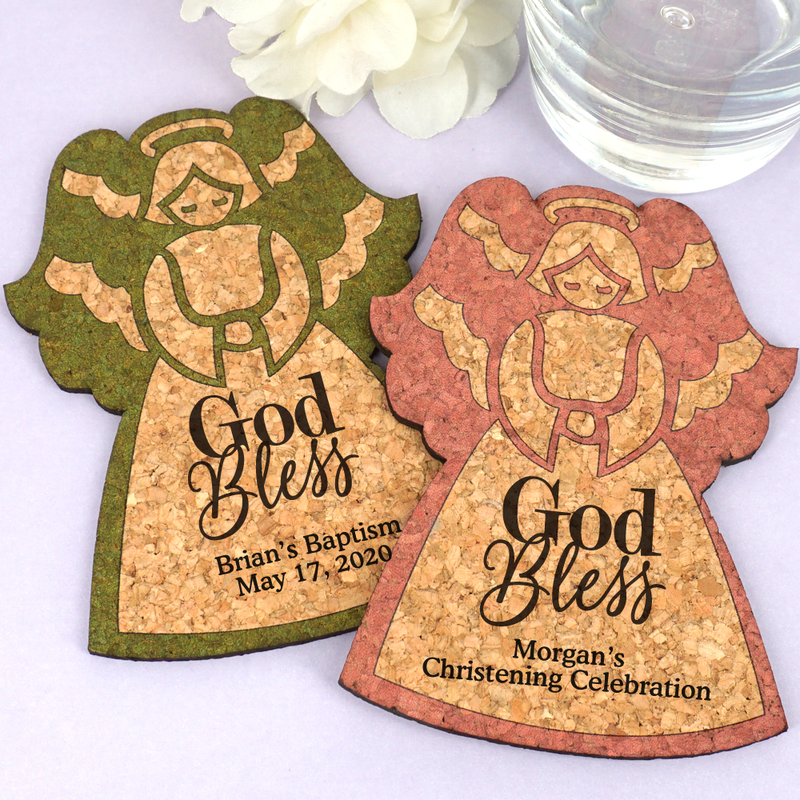 Coasters measure approximately 3.4"w x 4.5"h. They can vary in color and thickness. 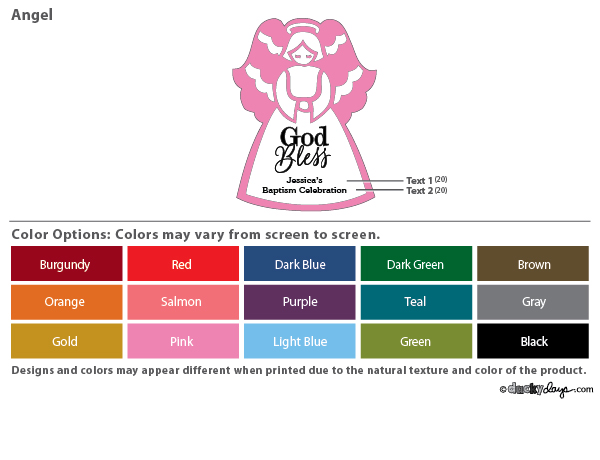 The words God Bless are automatically printed on each coaster along with two lines of your custom message. You will have room for 20 characters per line, maximum. Place a coaster under each glass at your tables for a fun presentation. Invite your guests to take them home afterwards.